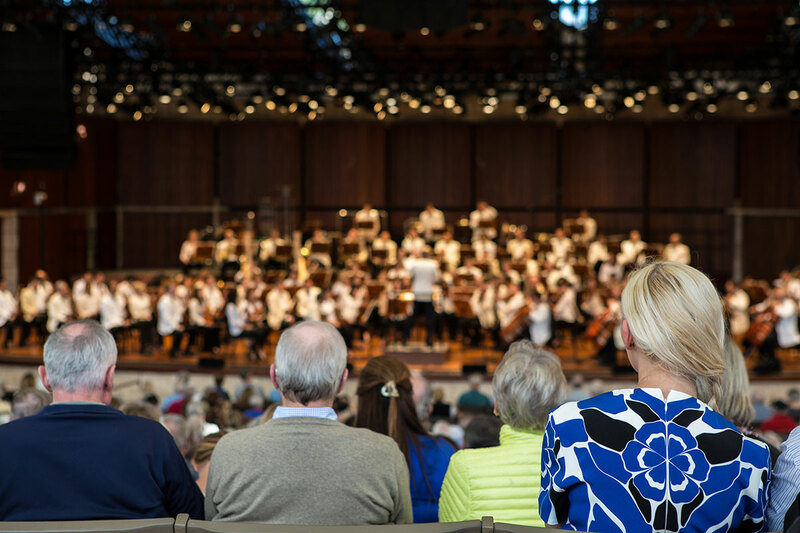 All summer concerts begin at 6:30 PM and last about an hour, except for Mahler on August 22 which will be about 90 minutes. 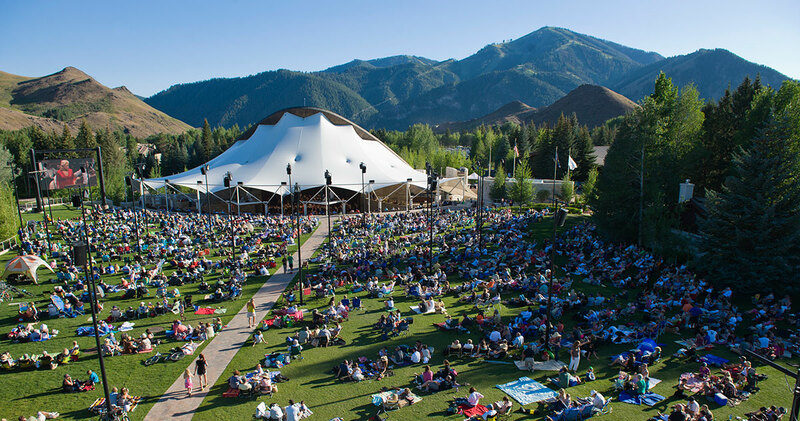 All orchestra concerts are held at the Sun Valley Pavilion, while chamber concerts take place at the Presbyterian Church of the Big Wood in Ketchum. All concerts are free of charge, except the Gala. 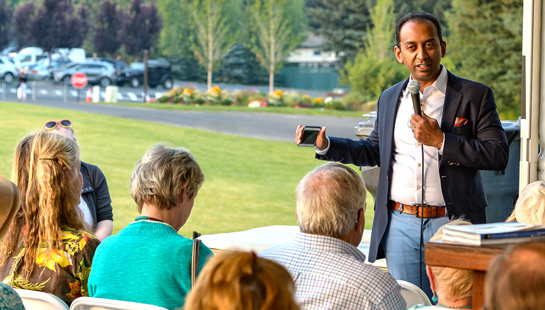 Before each concert, at 5:45 PM, stop by the Paver Bar on the lawn or listen in on your phone to the “pre-concert chat” hosted by Associate Conductor Sameer Patel or one of the musicians. Chats offer an introduction to the evening’s programming for folks who may not be familiar with the programs. Phone listeners can access the live audio stream at svmusicfestival.org. Families are welcome at all concerts; the programming is most appropriate for children over the age of 10. 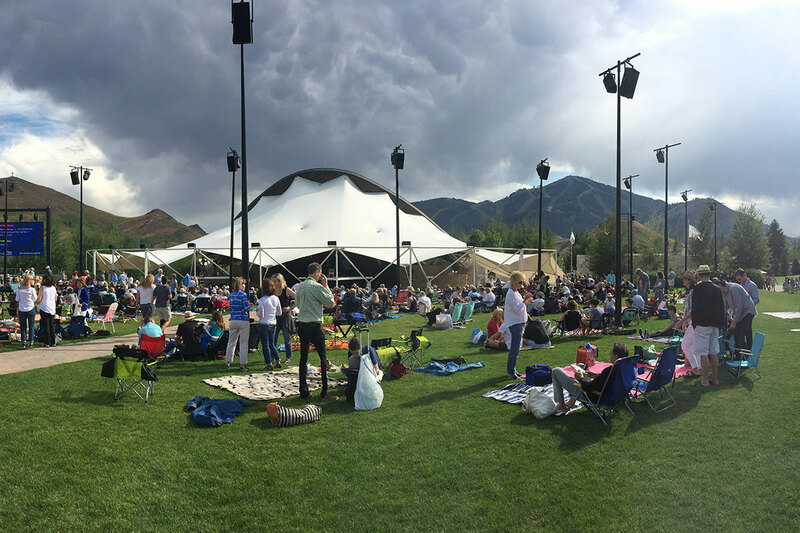 If you sit in the Pavilion, please make sure the kids are ready for a serious classical music concert. 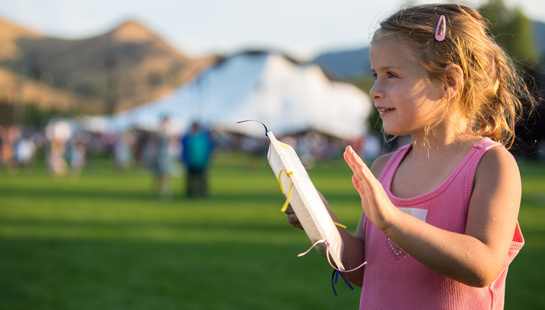 Or, consider reserving a spot at the Kids’ Music Tent for children ages 4-8. Local music educator Lisa Pettit organizes hands-on projects and activities. It’s free—of course—but reservations are required. 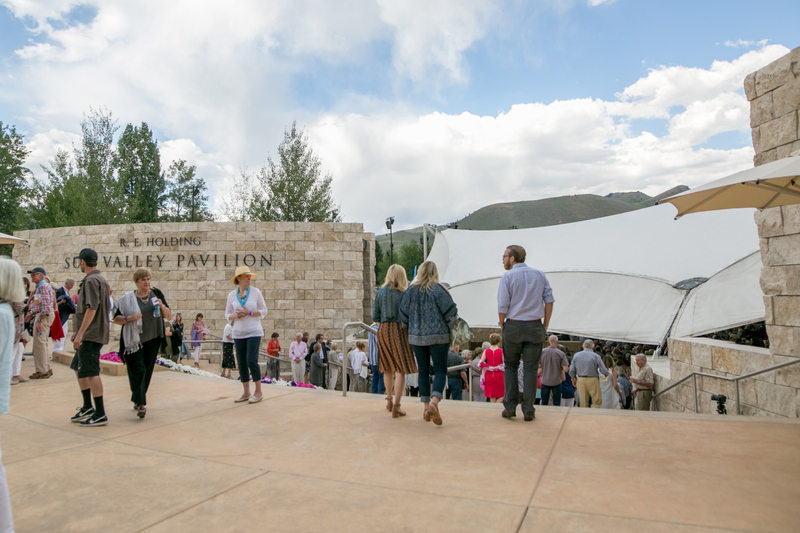 The Sun Valley Pavilion seats approximately 1,600 listeners, and offers direct lines of sight to the stage and a natural, un-amplified acoustic experience. 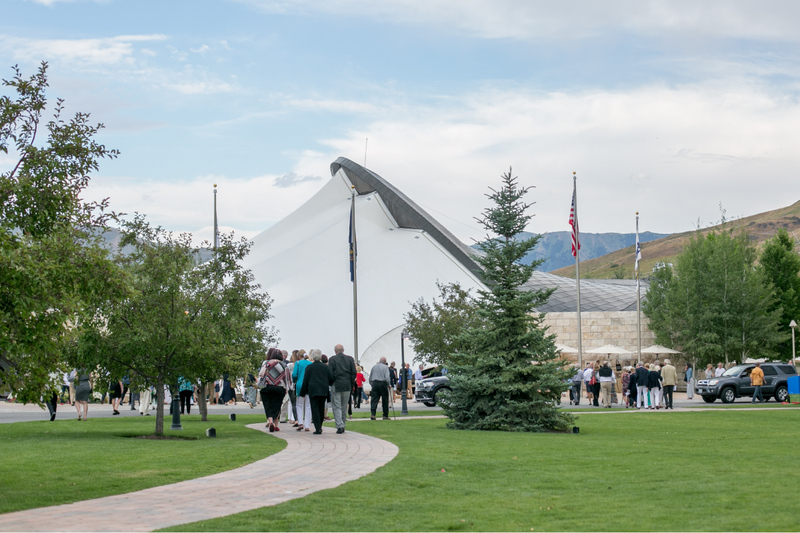 Donors of $2,500 or more may reserve seats in advance, but free seats are always available to the public, beginning one hour before the concert. You may line up for these (in the shade, by the bar, with chairs to ease the wait) on the East Terrace of the Pavilion above West Lake Road. If the line looks long, don’t give up! Reserved seats not claimed by 6:15 PM will be released. Restrooms can be found on either side of the stage, at the bottom of the seating section of the Pavilion. All restrooms are accessible. Bars open at 5:30 PM (one hour before concert time). Feel free to take your drink and snack to your seat, but please no outside food or beverages, glass containers, or coolers (or anything that might block an aisle or row). Assistive listening devices may be checked out from the Festival Store at the main Pavilion entrance. Only credentialed assistance dogs are allowed in the Pavilion (but dogs are welcome on the lawn). Please do not take any photographs or record audio or video during the performance. Please silence phones and other devices. While the Pavilion is covered, it is open to the elements. Please dress accordingly and bring something warm, just in case. 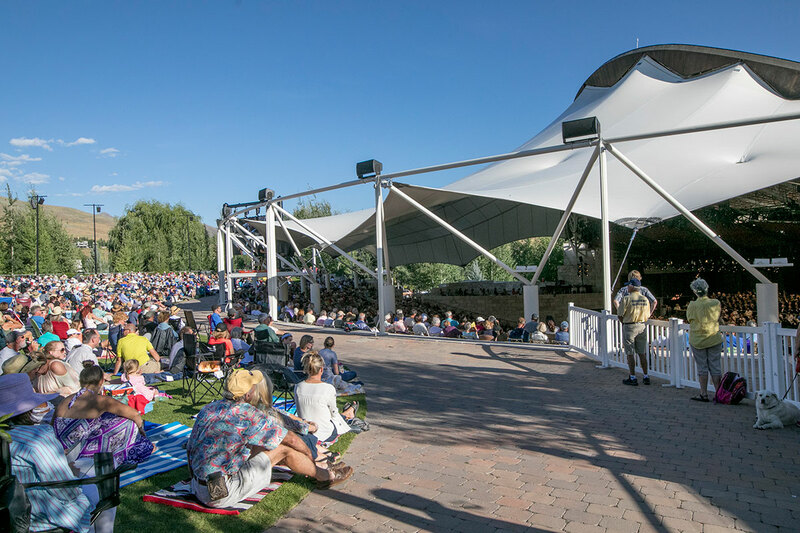 Relax with your friends as the sun sets, enjoy a picnic dinner, and listen to beautiful music through a state-of-the-art sound system while you watch the action on a 14×25 foot LED screen. The lawn experience accommodates all listening styles: serious aficionados tend to sit up front, picnickers congregate everywhere, and families with active children and dogs have room to play in the back. Feel free to come early and reserve the perfect spot with a blanket (no tarps, please—not good for the grass). Or arrive just in time and make new friends as you squeeze into an empty spot. Low-backed lawn chairs are a great idea. Note: if a basketball could fit under your chair, it is too tall and could obstruct the views of your new friends. The Festival Store sells blankets, chairs, water bottles, and anything else you might need to help you make the most of your lawn experience. All proceeds benefit the Festival’s education programs. Restrooms are located at the back of the lawn. If your dog is has plenty of energy, please consider sitting along the perimeter of the lawn to ensure everyone has a good experience. Please keep all electronic devices quiet. Drones are prohibited on Sun Valley Resort property. Help us keep the lawn green — please recycle and throw away your trash, and save or return your program book.